On the outside, the Mercury Custom was greatly changed. The famed waterfall grille was replaced with a more understated and contemporary unit. Front and rear fenders, and the hood were all slightly less bulbous and more unified. A small tailfin appeared at the rear. Overall, the look was closer to the 1952 Lincoln than the same year Fords. Changes were few for the 1953 model year, being mostly limited to small exterior and interior tweaks to visually differentiate the Custom from the 1952 model. The station wagon was dropped this year, and numerous new exterior colors were introduced. The two-door sedan this year cost nearly $2,200, which was $460 more than the Ford counterpart. The Custom received a revamped engine in 1954, with a brand-new overhead-valve V-8 motor, displacing 256 cid. It generated 161 hp and featured a 4-barrel Holley carburetor. The Merc-o-Matic transmission was beefed up this year as well, and the Custom’s front suspension went from coil springs to a ball-joint set-up. 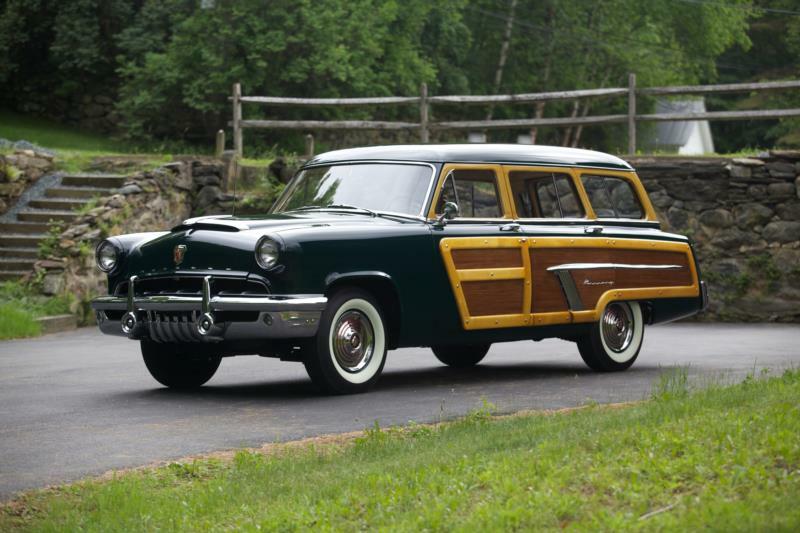 The 1955 Custom was wider and lower than the previous year, and a station wagon was once again available. The base Custom V-8 engine was punched out to 292 cid, and it now generated 188 hp. An optional Power Pack four-barrel carb could be ordered for $225, and it raised power output to 198. The Custom climbed Mercury’s model hierarchy in 1956 as the company added the entry-level Medalist to the lineup. A convertible and a four-door hardtop sedan kept the public’s interest, however, and sales of the Custom climbed. Slight visual updates were made, but the biggest news was the appearance of the 312-cid V-8 engine. The motor could be ordered with anywhere between 210 hp and 260 hp, depending on transmission and carburetion. The Custom also received a 12-volt electrical system, which meant more comfort features could accompany the car. This model year was the last for the Custom, as Mercury turned towards a new product composition for the 1957 model year. Mid-1950s Mercury Customs are good first-time collectible cars, mainly because they are suitable for daily driving and can be ordered in an array of nice period colors. Their modest proportions are also a nice change when compared to later years. Mechanicals are straightforward, though some trim pieces can be hard to source. Mercury Customs in general sold well when new, but locating an example that is bone-stock original can be difficult today since these models have long been popular choices among customizers.